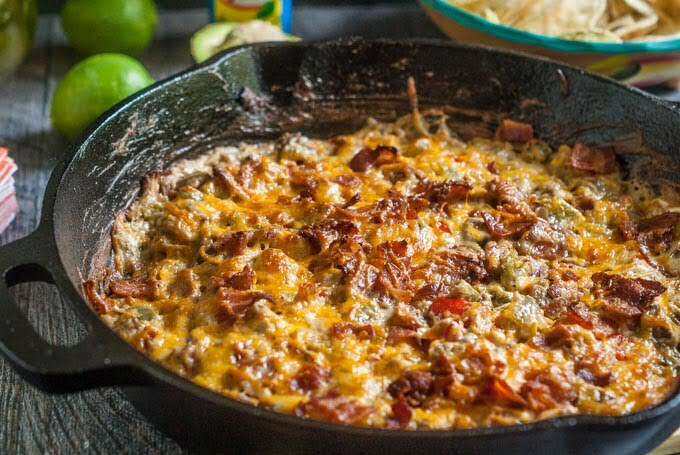 This low carb alambre skillet cheese dip is has got it all: steak, peppers, onions, cheese and yes even bacon! 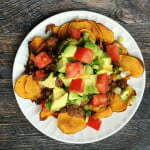 A fun low carb appetizer to celebrate Cinco de Mayo. THIS POST MAY CONTAIN AFFILIATE LINKS. FOR MORE INFO VISIT OUR POLICIES PAGE. So we are celebrating easy Cinco de Mayo recipes today on Sunday Supper! What fun, huh. I came to the party a little late so I wasn’t sure what to make. And then I remembered a dish I order often at our local Mexican restaurant, alambre. 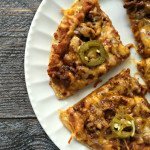 It’s a mixture of grilled bacon, onions, peppers and steak and then topped with melted cheese. It is oh so delicious, so I wanted to make that dish, but make it more of a dip. 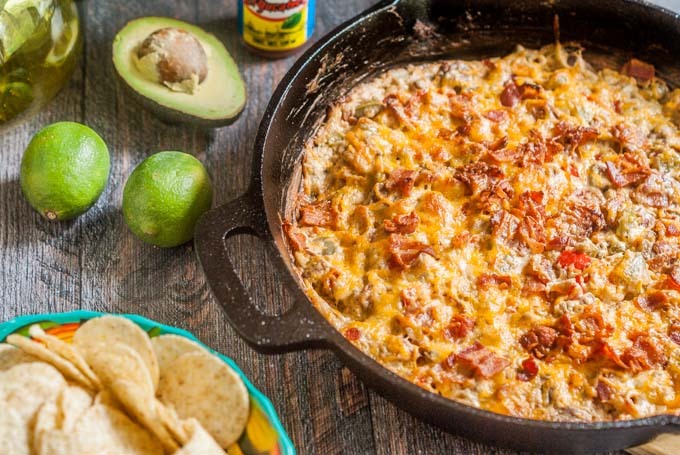 Today I bring you my alambre skillet cheese dip. It is sinful but it really tasty! I love anything you can make in a cast iron skillet. Usually I make regular dinners like my Asian chicken dinner, but I’ve never made an appetizer nor a dessert. I’m working up my nerve to try a skillet dessert. I even bought these cute little 3.5″ cast iron skillets at Target for the distinct purpose of making a dessert. One day…. This is not a difficult dish and you only use the skillet to make it. You start by browning the bacon and then taking it out. Using some of the bacon grease you saute the onions, peppers and steak until the steak is browned. 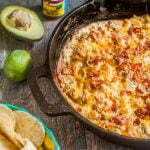 Then you add in some cream cheese and Mexican cheese along with the cooked bacon and mix until the cheese is melted. Lastly you pop it in the oven for 10-15 minutes and you are done. Yum! Such incredible flavors! Definitely perfect for a celebration. My husband would love this. I could enjoy this as a meal! It looks wonderful! NOw this is party food! I can see what you mean – sinful but delicious! 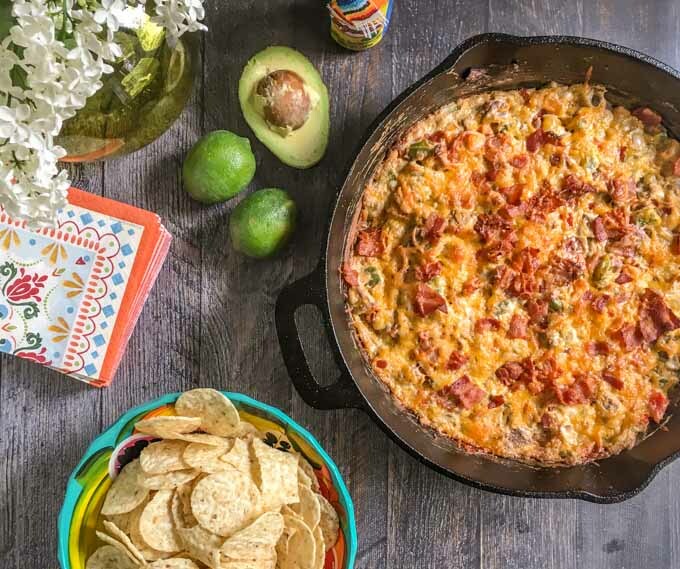 Wow, this is one fabulous dip, Denise! 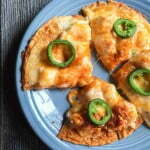 So cheesy and delish! Thanks Liz! Cheese makes everything better….and then there’s the bacon too! That’s what I say too! This sounds delicious! What amazing flavors in this! 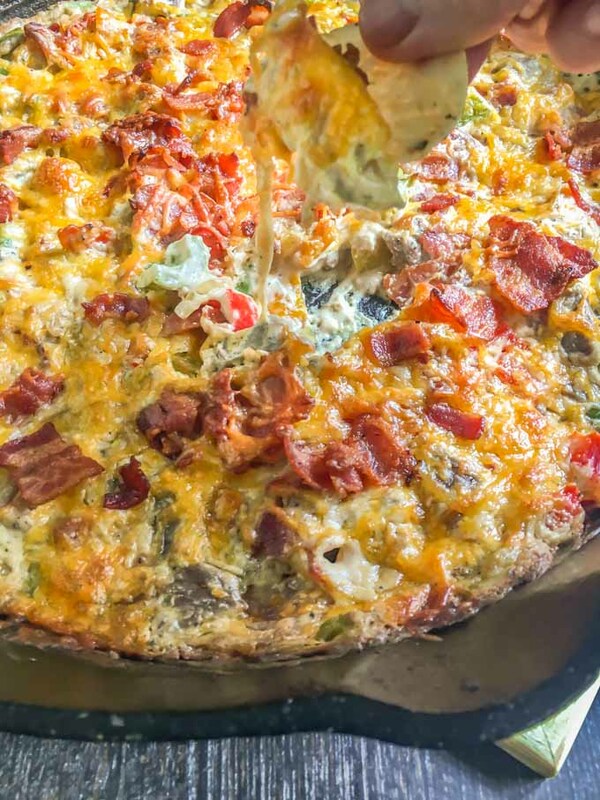 I love cooking with a cast iron skillet too, what a delicious dip you have created, lots of delicious flavors. I’m new to cast iron skillet cooking and just love it! I can see why you love this dish so much. It is pure comfort and only dirties one pan! Yes the one pan is key! This looks really delicious, and it such a nice change from the traditional Mexican dips. I love that it’s just packed with filling ingredients. Yes, it could be a meal in of itself. Actually next time I’ll make it for dinner and take out the cream cheese. It would be good served as a fajita. Be still my heart! This looks absolutely fabulous, Denise. Never mind the chips. Pass me a spoon, please. Absolutely looks amazing! My guys would go nuts over this one! Well so would I!